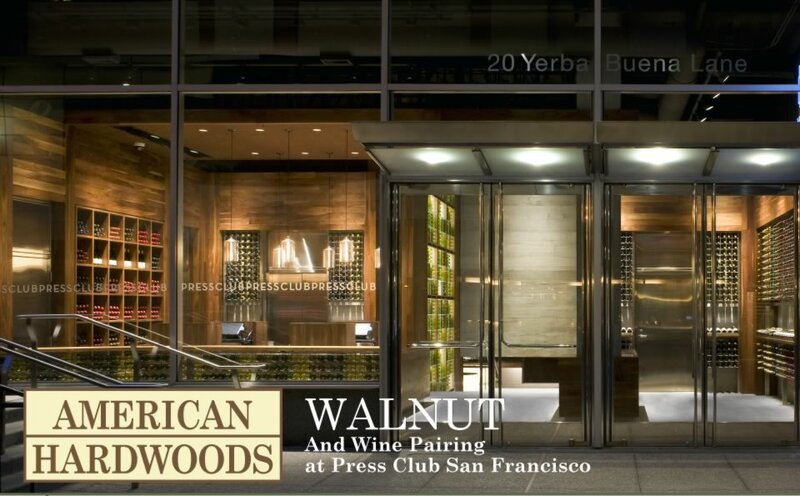 American walnut was a key ingredient in adding the flair of Napa Valley to Press Club San Francisco. 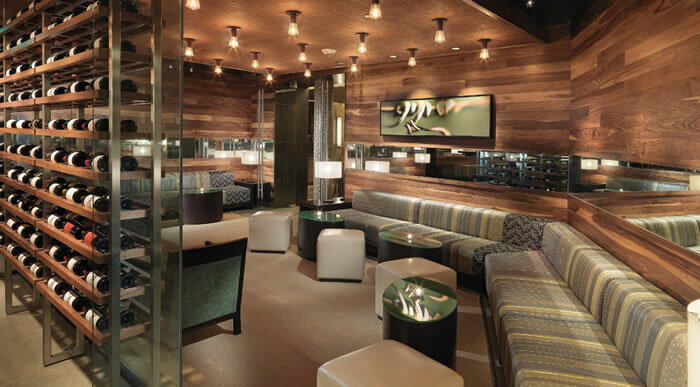 Located in the Four Seasons Hotel, just minutes from Union Square, the 9,000-square-foot venue was conceived as an urban retreat for six of California’s most celebrated premium-quality, small-production wineries and vineyards. Architect Chris von Eckartsberg, of Baldauf Catton von Eckartsberg Architects, was charged with creating an innovative and modern identity for this cosmopolitan wine tasting concept. 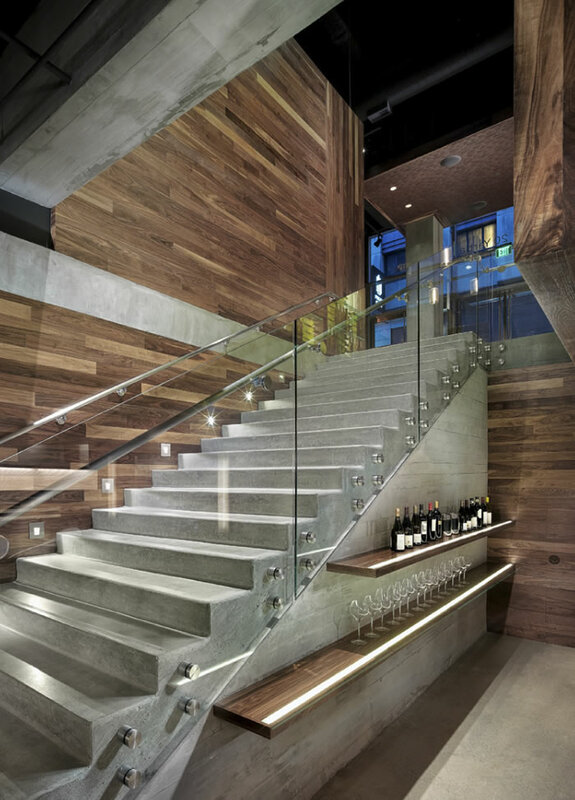 “We designed Press Club,” noted von Eckartsberg, “with cues from Napa Valley’s unique blend of industry and natural beauty.” As a result, Press Club’s unique mix of industrial and organic is expressed by a simple pattern play between cement and American black walnut, creating a transcendent connection between two dissimilar materials. Modern yet wonderfully luxurious, Press Club’s retail shop and concierge occupy the ground level, while a grand staircase entices visitors to the tasting lounge below. Organized around a central spine, the tasting lounge is complete with eight winery stations, the tapas bar, and a private dining room. Among other awards, Press Club was the winner of the 2010 WoodWorks California Wood Design Awards in the Interior Beauty of Wood Design category. Press Club also received the coveted 2010 American Institute of Architects San Francisco Chapter’s Honor Award for Interior Architecture.